The Master of Arts in Special Education degree program with an endorsement in learning disabilities (LD) is designed for highly committed and competent teachers in K-12 settings who have the skills, knowledge and dispositions to become professional leaders, expert practitioners and effective collaborators. You will learn research-validated methods and evidence-based practices, but equally important, you will have opportunities to apply those methods in authentic contexts to foster deep understanding and critical reflection. Throughout the master's program, you will engage in clinical projects and practicums that provide opportunities to engage in inquiry and to reflect on teaching practice with the support, feedback and collaboration of the teaching faculty. Courses are taught by special education program faculty members who have extensive experience as researchers, teacher educators and special education classroom teachers. The master’s degree with an endorsement in learning disabilities (LD) or master’s degree only programs will prepare educators to teach individuals with LD in K-12 grade settings. Students will learn research-validated methods and evidence-based practices that they will apply in authentic contexts to foster deeper understanding and critical reflection. Collaboration and consultation skills are the cornerstone of the LD program. Through a combination of completing the program requirements and successfully passing the Michigan Test for Teacher Certification (MTTC), students will meet the requirements for a master’s degree in special education with an endorsement in LD. Students will develop the pedagogical skills and instructional expertise to work with children and youth who exhibit learning disabilities. Students will connect theory, research and practice to inform educational decisions. They will develop the communication, collaboration and consultation skills that will enable them to work with children, youth, families, related service personnel, general educators and community agencies to create, implement and evaluate the highest quality programs possible. Students will attain the abilities to develop, implement and interpret accountability and outcome-based reporting systems involving the thoughtful use of assessment data from multiple sources and to communicate this information in meaningful ways. Students will foster inclusive learning environments that support diverse learners and meaningful access to the curriculum through the use of assistive technology, instructional supports and accommodations. There are a variety of program sequences an individual can take to obtain the M.A. degree and LD endorsement. These sequences depend on a student’s previous education and teaching certification. Please see program tracks. See the LD program courses and learn about the program faculty. For more information about applying to the program, please contact Dawn Therrian-Taylor, therria5@msu.edu. To learn more about the program and requirements, please contact Erin Hamilton, erinhami@msu.edu. Offered in the spring semester. This course develops the knowledge, skills and professional dispositions related to effective collaborative problem solving. Special educators and general educators interact together in many collaborative activities both inside and outside of school to support students, families, and the community. This course explores evidenced-based practices in key collaborative spaces in schools, including (1) IEPs, (2) pre-referral intervention assistance teams (i.e., child study teams, student support teams), (3) Positive Behavior Intervention and Supports, (4) RTI teams, (5) behavioral consultation, (6) working with paraeducators, (7) transition planning, (8) collaborative teaching, (9) serving as an intervention specialist who helps create access to the general education curriculum and (10) home/school/community services. Undergirding the course is a focus on developing and applying key principles of effective collaboration and consultation while developing a critical content expertise about best practices in key collaborative structures. Offered in the fall semester. Assessment serves as a cornerstone of special education, both in terms of eligibility determination and instructional planning. This course focuses on the wide array of assessment methods available for identifying students with disabilities and evaluating their responsiveness to instruction, including norm-referenced tests, criterion-referenced assessment tasks, curriculum-based assessments and measurement, and dynamic assessment. We examine assessments designed specifically for evaluating students' literacy skills, mathematics skills, behavior and intelligence. Students conduct an in-depth assessment project in which multiple assessment methods are used to evaluate an at-risk student or student identified with special needs in a particular domain and make recommendations for services and instruction. Offered in the spring semester. This course develops the knowledge, skills and predispositions related to the effective assessment and implementation of reading and written language interventions for students with literacy related difficulties. Difficulties in reading, language and writing impede with the performance of students with disabilities across the school curriculum. This course is designed to help educators respond to these difficulties through an examination of methods that can be employed to: (1) observe and measure the reading and writing performance of special education students; (2) design interventions that address students' phonemic awareness, decoding, vocabulary, fluency, comprehension and motivation abilities; (3) develop and implement literacy interventions that improve the strategy knowledge and self-regulated performance of students as they read and write expository or narrative texts; (4) evaluate the literacy progress of students through frequent progress monitoring and (5) implement evidence-based teaching practices that promote students' deep knowledge, mastery and understanding of literacy principles and skills. Offered in the summer semester. This course introduces the practice of special education in today's schools, with a focus on the United States. We will analyze characteristics of students with learning and behavior disabilities and the implications of learner differences for the legal and professional responsibilities of classroom teachers. We will survey general principles of instruction that can help improve students' access to the general education curriculum, including collaboration with other professionals, universal design for learning, response to intervention (RTI) and assistive technology. Each of these topics is covered in more depth in later courses. We also address multicultural considerations in the diagnosis and instruction of students with disabilities. The overall goal of the course is to expand your expertise and confidence in providing an inclusive classroom that effectively addresses the needs of the diverse population of students. Offered in the summer semester. This course is designed to provide teachers and other practitioners with a foundational knowledge in classroom management, behavioral intervention for mild/moderate behavioral challenges and knowledge of behavioral technologies to support classroom teaching with diverse students, including those with special needs. Especially salient to this course is the acknowledgement of prevention and intervention strategies conducted at multiple levels, including the macro-level of schools and communities and at the micro-level as teachers negotiate meaning with students on a moment-to-moment basis. Students will directly utilize a series of behavioral assessments in a variety of domains to build a technology of resources for identifying and successfully intervening with problematic behavior. The functional analysis of the etiology of behaviors will allow students to identify crucial factors that motivate, prompt and maintain the behavior. Students will then apply their principles and understanding of behavioral change to develop and implement behavioral, social and academic interventions. Offered in the spring semester. In this course, we will investigate instructional practices that can be used in general education classrooms to improve the learning and academic performance of students with mild learning problems and disabilities. We will focus on instruction in the content-area subjects of science, social studies and mathematics. Our goal is not to examine how to teach these subjects, but, rather how to design and differentiate instruction that is sensitive to individual learning needs and preferences. We also will address Universal Design for Learning, collaborative planning for instruction, secondary and transition services and creating a classroom climate in which all students have the opportunity to participate and succeed. Offered in the fall semester. This course will emphasize the concepts, principles, techniques, strategies, interventions and research within the fields of Applied Behavior Analysis (ABA) and Positive Behavior Support when delivering instruction to students. The primary objective of this course is to provide participants with the skills necessary to complete a thorough functional behavior assessment, develop a function-based behavioral intervention plan and implement the behavior plan with a student diagnosed with ASD or other disabilities. Participants will learn to implement antecedent strategies for the prevention of problematic behavior and interventions designed to decrease problem behavior while increasing acceptable alternative behaviors. The overarching goal of the course is to prepare course participants to consider behavioral excesses and deficits within the context of the environmental stimuli that precede and follow the behavior of interest and to develop behavioral interventions by systematically changing the relevant environmental stimuli. Offered in the summer semester. This course will examine the use of technology to meet the needs of students who face challenges reading and comprehending text. We will examine ways in which technology can be used to support students' literacy acquisition and to improve their performance and independence as they read and write. We will consider students with literacy difficulties and students with mild disabilities (such as learning disabilities), and will examine technology applications that can be used in the general education classroom. Participants will examine a variety of technology-based applications online, choose applications that are relevant for the students they teach, and create a technology and literacy plan. Offered in the fall and spring semesters. Field experience with students who have learning disabilities, coordinated to extend course content in CEP 804A and CEP 842. Includes planning, implementing, and critiquing instruction in elementary and secondary school settings. Offered fall semester. Supervised student teaching in elementary and secondary education programs for students with learning disabilities. Offered in the fall, spring and summer semesters. There are very few classrooms in the United States today that do not have at least a few struggling readers and writers. More and more, teachers and schools are being held accountable for meeting these students' literacy learning needs. To meet these needs in a diverse student population, it is vital to make sure every instructional staff member understands how literacy is relevant to student success, regardless of content area, and can successfully integrate evidence-based literacy instructional practices into their teaching. Accordingly, this course is organized around five broad topical areas and associated literacy instruction and assessment practices: cultural and linguistic differences, individual motivation differences, neuropsychological differences, instructional arrangements to accommodate learning differences and core components of effective literacy instruction. Students in the course learn about the principles of instruction and remediation in reading and writing, classroom assessment techniques for reading and writing, and materials and adaptations for reading and writing instruction. They also learn how to critically evaluate materials, curricula, programs and practices used in literacy instruction, and how to select, modify and design literacy materials, tasks and teaching techniques to meet the specific needs of struggling readers and writers. 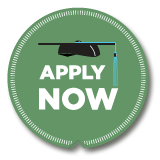 Student must apply for graduation the first week of the semester he or she expects to complete the degree requirements. Student must be enrolled in at least one credit the semester they take the M.A. exam. Send completed form to Missy Davis, davisme@msu.edu. Secure online access to student records at MSU (financial, academic, personal information).